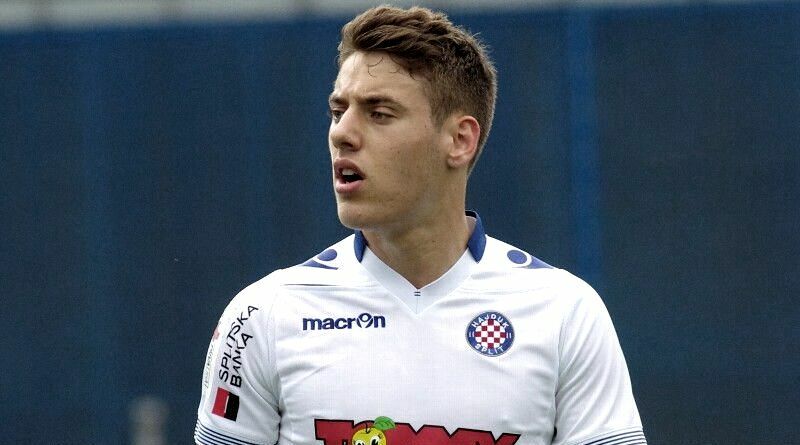 Hajduk midfielder Nikola Vlasic has emerged as a surprise target for Everton in the summer transfer window. According to the football transfer rumours in Croatian Media (Sportske Novosti), Everton are poised to land Hajduk midfielder Nikola Vlasic. The Croatia international has joined Hajduk Split from Omladinac Vranjic in January 2010. The 19-year-old has a valid contract with Hajduk Split until June 2018. Nikola Vlasic has played 119 times for Hajduk Split since signing from Omladinac Vranjic, scoring 12 goals and creating 20 assists in that time. The 19-year-old is considered to be one of the best midfielders in Croatia. The Croatia international has been in outstanding form for Hajduk Split last season. Nikola Vlasic has represented Croatia at Under-16, Under-17, Under-18, Under-19 and Under-21 level, winning 29 caps and scoring 3 goals, before making his senior international debut in May 2017. As a member of Croatia national football team, Nikola Vlasic has won one cap. The midfielder has just 12 months remaining on his contract and Hajduk Split may consider a deal in this transfer window to avoid losing him for nothing next summer. Vlasic is high in demand this summer, with him having enjoyed a sublime season for Hajduk Split last term. Ronald Koeman wants to sign a new midfielder this summer and Nikola Vlasic is one of the names at the top of his wishlist. He has always been a manager who keeps his eyes on the most talented young players across the globe. The report claims that Everton manager has extensively scouted Vlasic and is considering a move for the midfielder. Everton manager wants to continue to strengthening his squad so they’re able to compete both domestically and in the Europa League next season. According to the report in Croatian Media, Everton are close to completing a 8 million euros deal for the Hajduk midfielder Nikola Vlasic as they look to improve Ronald Koeman’s midfield options before the transfer deadline.